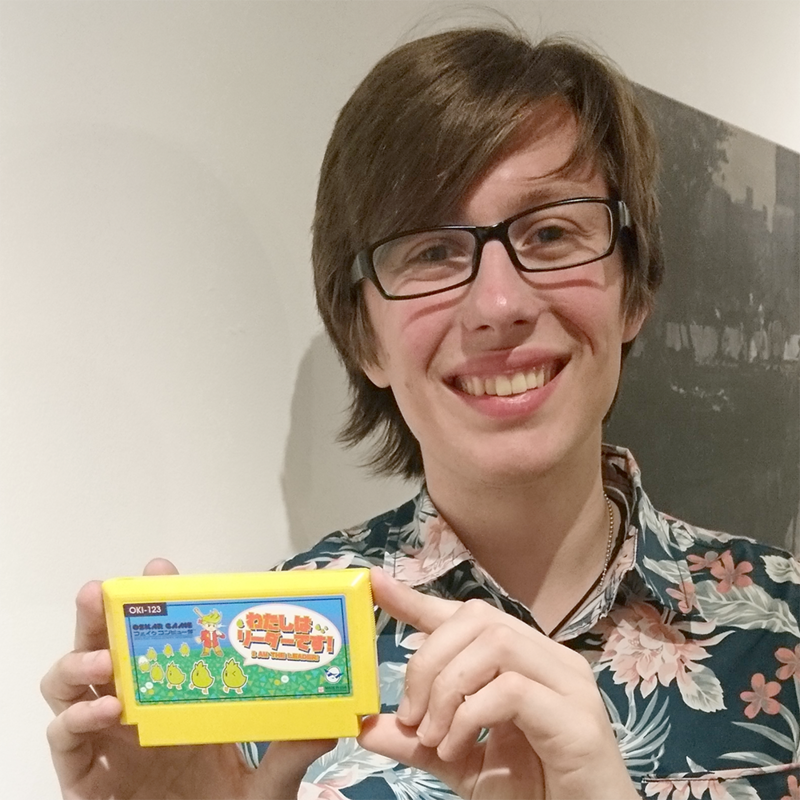 I was thrilled to be part of My Famicase Exhibition for the second time! Famicase is a collaborative art project put on by METEOR, a store and art gallery focused on retro gaming in Nakano, Tokyo. 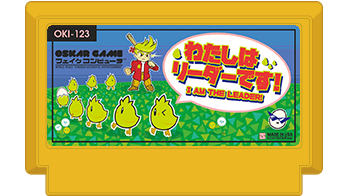 Artists from around the world submit designs for Famicom cartridge labels for made up games and those selected are printed out, put onto actual Famicom cartridges, and displayed at the METEOR gallery. I was lucky to be able to view and hold my cartridge in person when I visited Japan in late Spring in 2018. It was one of the highlights of my trip! For this cartridge art I was thinking about something involving school delinquents a la River City Ransom/ダウンタウン熱血物語, which I ended basing the human character design off of. 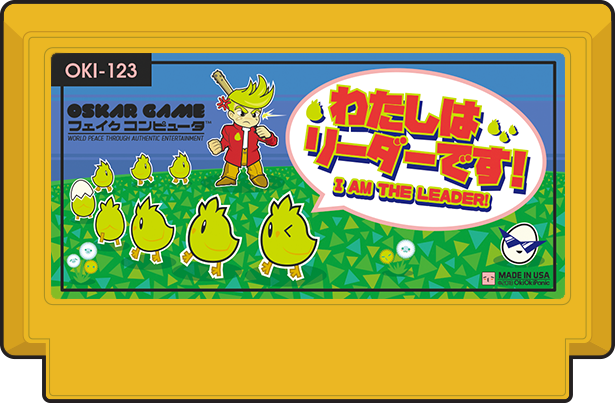 I also really liked the concept of a video game based around “follow the leader”. This got me thinking about the Bremen Mask from Majora’s Mask which similarly would make small animals, including chicks, follow you. It all came together with the added twist of one of the chicks actually being in charge. I envisioned the gameplay being something “arcade stealth” where you’re the last in the line but can indirectly influence the path you take by moving things around the environment but have to make sure that the first in line doesn’t see you do it! 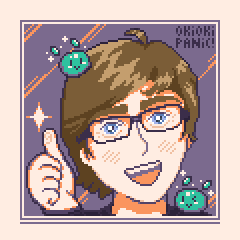 Overall, I was very happy with how this turned out! You can see all of the designs from 2018 here. I was entry #119.